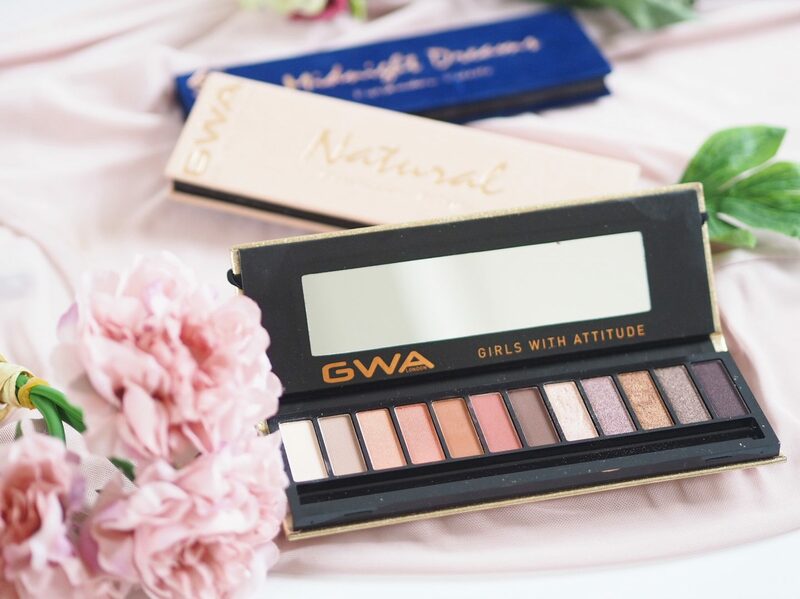 GWA Makeup Eyeshadow Palette Reviews! 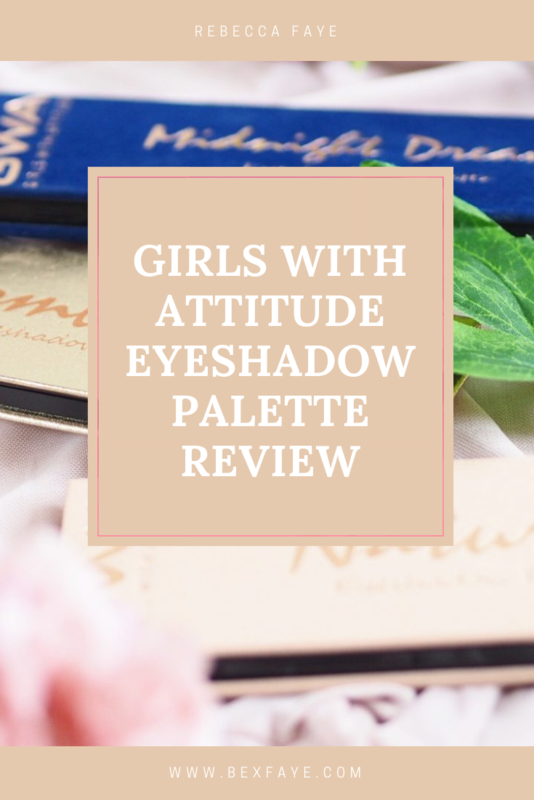 If you like eyeshadows/ pretty eyes/ glitter/ autumn/ neutral looks then keep reading – let’s talk about GWA (Girls With Attitude) makeup…. 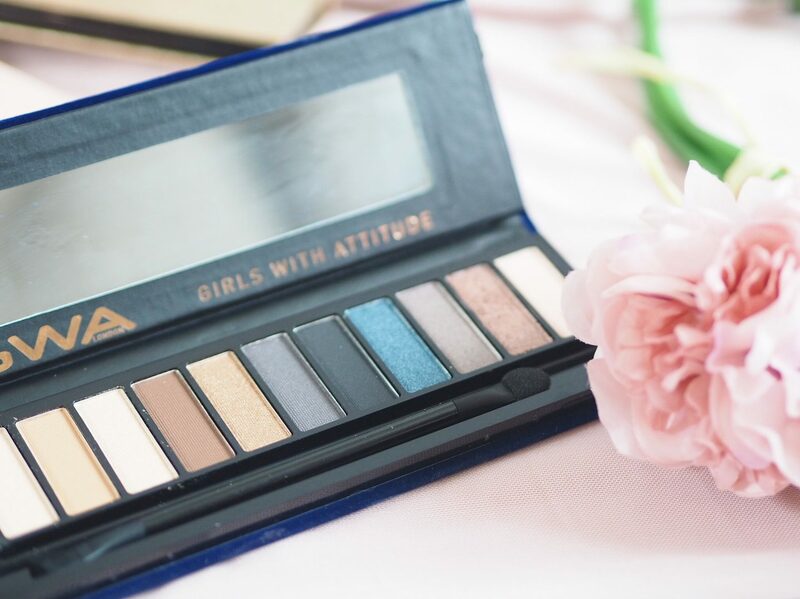 I have seen GWA (Girls with Attitude) pop up a lot recently, with their pretty eyelashes stocked in Primark and there more than reasonable eyeshadow palettes and makeup brushes all over social media. So obviously I had to get my hands on some to try out. Now, I really am not a massive eyeshadow wearer (or at least I haven’t been anyway), but things may have changed now thanks to Girls With Attitude I have found gorgeous palettes which include a whole range of colours (matt and shimmer) for me to wear all year round, and they’re REALLY REASONABLE!!! Yay! I mean, I love Urban Decay and if I could own the whole collection, then I really would, but for me as I’m still getting into eyeshadow I don’t like spending too much of my money on it. So GWA are perfect if you’re anything like me! They are all so gorgeous and unique in their own way although there are a couple of similar shades in them which I quite like as well. I mean, look at those colours! Seriously gorgeous! So first off, I just want to say for £9.99 the quality of the palette is really good. This one comes in a gold shimmery casing with the name indented. It does look a lot more expensive than £9.99. Also, the colours are really pigmented! The palette includes a range of matt, shimmer and metallic colours ranging from nudes/warm pinks, deep plums and shimmery pinks and golds as you can see in the photo! You can really create a range of looks with this palette from simple neutral day looks to more dramatic night looks using the darker and deeper tones which I love! 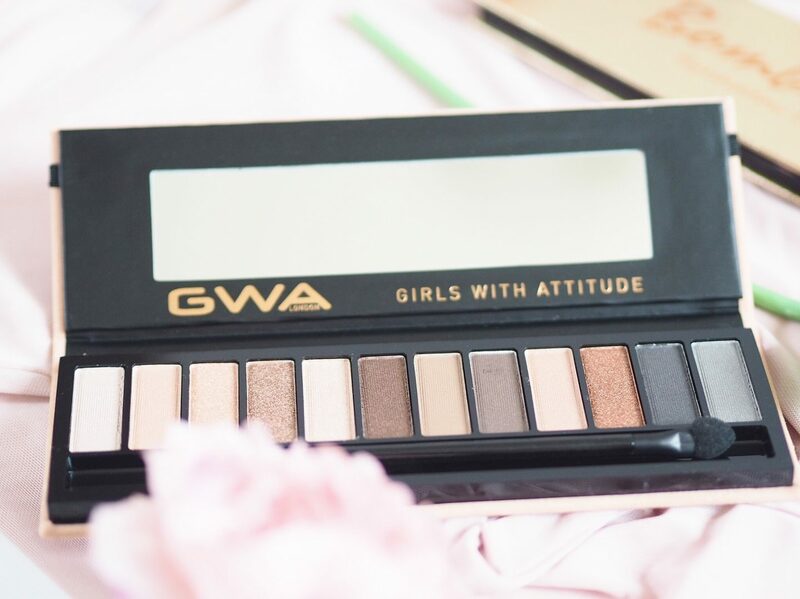 Now, I didn’t actually buy this one, In fact I accidentally got sent this palette instead of the Natural one, so when I contacted GWA they were really helpful and sent me out the Natural one but let me keep this one, which is so nice of them and I’m really pleased as I love it! So this palette isn’t something I would normally go for because, if I’m honest, the blue kind of scares me. Buttttttt, it’s actually a really beautiful colour and I can imagine using it to brighten up under the eye. The casing to this palette is a GORGEOUS velvet midnight blue and again feels and look so much more expensive than it is! It’s so nice to touch too! This palette features 12 pigmented matt, shimmer and metallic shades which include the more vibrant blue and gold tones but also incorporates the warmer brown and grey tones which really compliment each others! Ahhhh this one! I am in love! As you may be able to tell already, I really like the neutral, lighter shades as I’m not that daring when it comes to eye make up. So this one is absolutely perfect for me! To start, the packaging is velvet like the Midnight Dreams one, but obviously a neutral colour, so it’s kind of like a peachy/baby pink and its sooooo pretty! In terms of colours, you’ve probably guessed but yes this one is full of lovely natural tones including rose gold, copper and champagne. You can really create some gorgeous looks with this palette and the colours make it so easy to do so. I love every single colour in this palette and I think it will quickly become my go-to palette for amazing every day looks. 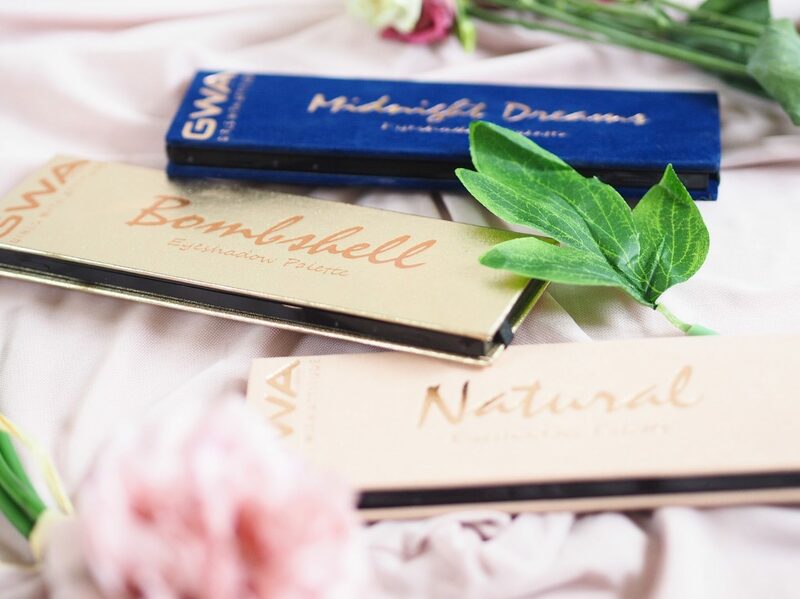 Have you tried these palettes or any GWA makeup products!? I really want to try out the Ultimate Goddess Eyeshadow Palette, and I think that will be my next purchase from GWA! All of these pallette are so beautiful, such a lovely post! Definitely going to try out this brand now. I have the Ultimate Goddess palette and it’s stunning. My favourite shade has to be Spice but they have an amazing gold cream shade which just upgrades every look! I haven’t seen anything about GWS until now, but the palette is really beautiful! Does it stay on long?